Welcome to the end of August. Like me, you probably are stunned that we’ve come to the end of what we think of as summer. How did that go by so quickly?! On the last Friday of each month I’ve been sharing a bit of what I’ve been doing creatively the past month. For your visual enjoyment, I offer a sampling of August’s images. I really enjoy creating images of people’s homes, camps, even businesses. We spend much of our time and create many of our memories in these places, so it’s very meaningful to have a formal “portrait” of them. This is a camp in the Adirondacks that has witnessed a great deal of this family’s special moments, both the ordinary and the extraordinary. Much of my time this month has been spent in the studio capturing the bounty of the flowers that we are blessed with in the summer. I have thousands of images that I can work on during the cold, grey days to come. I have, though, worked up a few of them and these are a couple of my favorites. For two days, I had the pleasure of working (playing) with my daughter-in-law, Katy, sharing some of my knowledge of photography. One of the days, we headed out on the back roads to do some long exposures and panoramic images. This panoramic scene from the farmland near Augusta, NY begins to capture the beauty that I have come to love about central NY state. One of the techniques I’ve been working with is exposure blending and this is an example of that process. It is a layering and merging of 5 different exposures, choosing by hand, which parts of each exposure will be part of the final image. And finally, this lovely aspiring actress with whom I spent a very creative couple of hours in the studio. I love working with actors and dancers, as they are so comfortable in front of the camera and come with their own set of ideas so that the session is a very collaborative time. September is already filled with many creative possibilities. 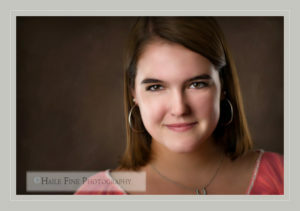 The Class of 2014 has begun coming in for their senior portraits and I love how they fill the studio with their special energy. I have a few special projects and excursions planned. I hope your September holds the process of good energy and possibilities. This entry was posted in Sharing and tagged Actors, Adirondacks, Clouds, Flowers, Headshots, Panoramics, Portraits on August 30, 2013 by gail. In my world, image competition season is beginning. The Professional Photographers of America (PPA) each year holds regional and then international image competition. Entering competition has been a great way for me to learn on many levels. It makes me look at my images extremely critically and determine what could have or can make them better. Part of the process is going through my images from the past year. About the time I started doing that, a photographer whose work I follow, William Neill, mentioned this article he had written a couple of years ago about the benefits of reviewing your images from the past year. So I was inspired to combine the two processes. I decided to do a ” Top 10 Favorites” of portraits and then fine art. Just because an image is in my 10 favorites doesn’t mean it’s competition worthy. It’s very much a process and this is just the first step. 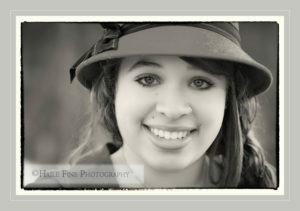 Elisha came to me in January wanting her senior portraits done outside in the snow. I loved her sense of style and this image begins to show that as well as her amazing eyes. Rosalie was one of my senior representatives this year. Part of what that means is that I get to try new ideas with them. A few of the things I tried here were a very different subject placement and the use of textures added to the final image. Annie was also one of my senior reps this year and we did a really cool shoot in her home. I love the drama and glamour of this image. 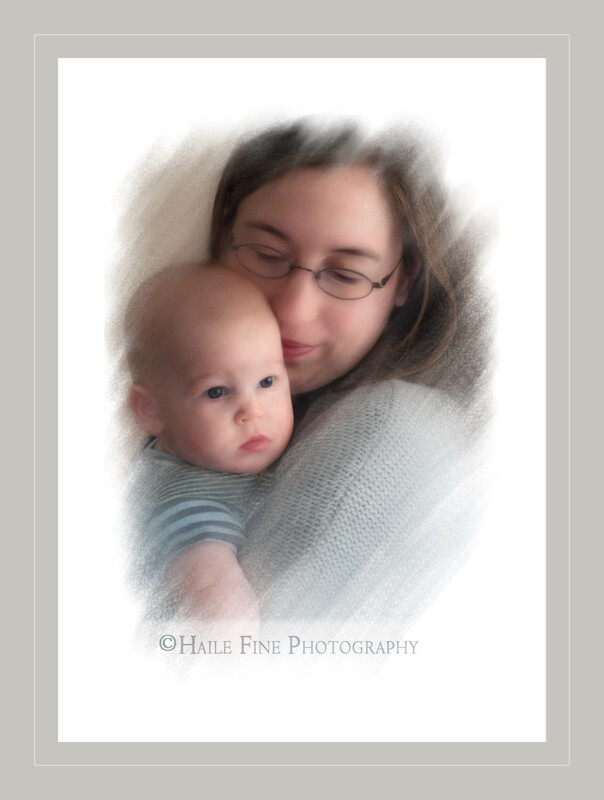 This image made the top 10 partly because it is an image of my daughter and grandson and I love the love that shows on her face. In the summer, I took a week long class in Corel Painter and used the image to create this pastel painting. but I love the transformation from photograph to painting. One of my goals for 2013 is to practice and explore Painter even more. I’ve posted this image previously in another post that explains who and what this wonderful group of women is. It’s included here because it was something new I was trying. Each person was photographed individually and then all the portraits were combined in Photoshop to create this group portrait. I feel that the method worked well to capture the essence not only each person but the whole group. 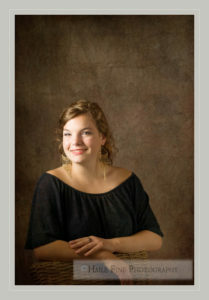 One of my senior portraits of a very fun and playful, Carly. I love the way the brick path leads your eye to her as well as how the image captured her laid back nature. This was probably one of the most fun sessions I had all year. Molly is a very active, bubbly girl and the warmth, the colors, her expression, the unusual but very natural pose express some of that personality. Linda is a multi-talented and very sweet lady. She needed a new headshot for her interior design business, one that would make people comfortable welcoming her into their homes. I love her relaxed, warm expression and the warm tones contrasted with the turquoise of her sweater. Vincenza has been a client for several years. 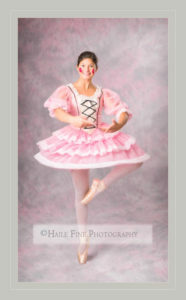 The first time was when she was Clara in the local production of the Nutcracker Ballet. She is a very sweet girl with lots of ideas. It’s always a collaborative effort when we create a portrait. This year she was Doll in the ballet and she suggested we try to get a shot of her spinning. For both of us that can be a challenge in the studio but we were both very pleased with this shot. I did a touch of Painter on this image also. So those are my top 10 favorite portraits from last year. Which ones are your favorites and why? As I continue to go through images in preparation for competition I will choose my top 10 for 2012 from my fine art work and will share those also. This entry was posted in Celebrating, Seeing and tagged Portraits on January 26, 2013 by gail. I probably need to digress just a bit here to explain a bit about the name Juicy People. The name is taken from the works of Hildegard of Bingen, a twelfth century mystic, who “counseled her spiritual directees to be ‘juicy people,’ folks who are so ﬁlled with wonder and curiosity, with lusty appetites and high spirits, that they embrace life, liberty and the pursuit of happiness with a burly, grinning bear hug. To be juicy is to be: a fearlessly joyous optimist, a troublemaker tirelessly afﬂicting the comfortable, a passionate lover of good talk and tasty food, an anonymous prophet hovering over the cosmological riddle, a frequent violator of the ordinance against indecent exposure of the heart, and a guerilla in the insurrection against Dream Molesters everywhere.” 1 Who wouldn’t want some of that?! For the past 3 ½ years I have been part of this diverse group of 11 women who gather on that Wednesday to share how they have been creative, how they have fulfilled the directive from Hildegard, over the past month. It is a fairly simple formula. The simplicity of the formula belies the depth and profusion of what transpires as a result of this monthly gathering. At times we have noted the air of sacredness that often hovers around our time together. There also exists a sense of accountability to “do something” each month as well as the excitement and anticipation of having a supportive and encouraging group with whom to share. We’ve learned that creativity is not just about making art but is about the art of making our lives. The list of creative acts is far too long to note here but includes poetry writing, watercolor painting, adventure creating, book writing, trapeze hanging, recipe inventing, self-caring, care-giving, fundraising, print making, laughing, crying, and on and on. JPCCG is, most definitely, greater than the sum of it’s parts. Oh, and there’s food! What started out as a suggestion to bring light snacks or hors d’oeuvres to share has become an amazing eclectic feast each month. It is always a treat to see the variety of offerings that arrive to feed our bodies as well as our souls with all their flavors and smells and colors and textures. JP is where I became interested in mandalas and if you’ve been paying attention on Mondays, you have an inkling where that led. JP’s inspired and pushed me to finally create my Inner Aperture note cards that combine my photography with unusual and inspiring quotes. JP inspired me in countless ways to work more towards getting my art out into the world. JP is pretty much the reason I am now comfortable with the title of artist. JP’s have inspired me to try things that I never would have thought to try or didn’t have the courage or knowledge to try, many of which have nothing to do with a traditional notion of art. They have encouraged me, cheered me, supported me, mirrored back my best self to me and helped me to live into me. For that I am grateful beyond measure. Now, the only problem is I have to wait 27 days for the next second Wednesday of the month and another dose of Juicy People. We just celebrated our fifth year as a group! There is now a guide book, The Creativity & Camaraderie Club Handbook, written by our fearless leader, Mary F. Mathews, that shows how you can create your own creativity group. Check it out here if this post has made you want a bit of this energy and creativity in your life. This entry was posted in Celebrating, Mandalas, Sharing and tagged Creativity, Gratitude, Portraits on November 15, 2012 by gail. A magnet designed by Kathy Davis with the words “Each Day is a Gift, Make the most of it” has been on my refrigerator for many years now. This is not a new idea. We all know it and tend to glaze over and think, “yeah I know” but rush on to the next “important” item on our list. But, it IS something that we must be reminded of frequently. Two events this week have me remembering this life lesson. I did a portrait session for a couple the other day. They are, let’s say, over the age when we tend to think about or want our portraits done. This couple wanted to honor their everyday life together by capturing it in a portrait. They didn’t wait for a grandchild’s graduation or wedding but instead celebrated their life now at this point. 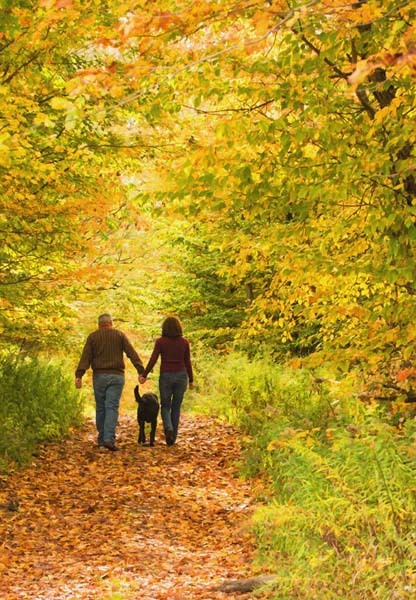 They celebrated the small act of taking a walk with their dog each day. They celebrated the small stuff that is actually the big stuff. The second event was attending the funeral of a friend who died extremely unexpectedly at a relatively young age. This was quite literally a stunning occurrence for our whole community. So, yeah, maybe it’s cliché but it is SO true. Each day is a gift, make the most of it. This entry was posted in Celebrating and tagged Celebrate, Fall Colors, Gifts, Portraits on October 11, 2012 by gail.